Approximately 700,000 Americans suffer a heart attack every year and stem cells have the potential to heal the damage wrought by a heart attack. Stem cells therapy has tried to take stem cells cultured in the laboratory and apply them to damaged tissues. 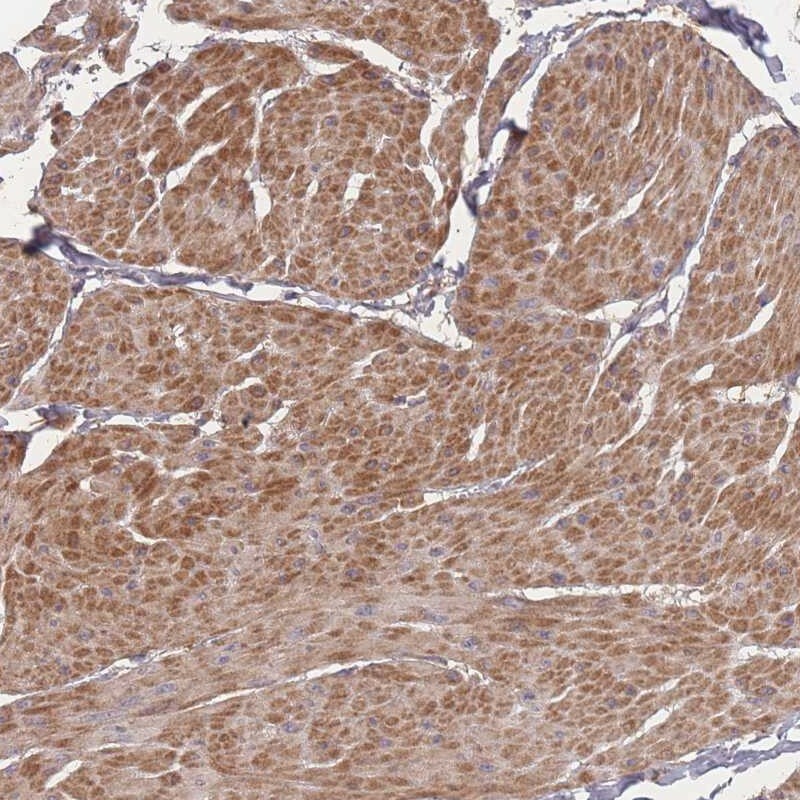 Immunohistochemistry-Paraffin: Bone marrow stromal cell antigen 1 Antibody [NBP2-14363] Staining of human smooth muscle shows moderate cytoplasmic positivity in smooth muscle cells. Stromal cells are known to secrete a host of molecules that protect injured tissue, promote tissue repair, and support the growth and proliferation of stem cells. Spees suspected that some of the molecules made by bone marrow stromal cells could enhance the engraftment of stem cells patches in the heart. To test this idea, Spees and others isolated proteins from the culture medium of bone marrow stem cells grown in the laboratory and tested their ability to improve the survival and tissue integration of stem cell patches in the heart. Spees tenacity paid off when he and his team discovered that a protein called “Connective tissue growth factor” or CTGF plus the hormone insulin were in the culture medium of these stem cells. Furthermore, when this culture medium was injected into the heart prior to treating them with stem cells, the stem cell patches engrafted at a higher rate. “We broke the record for engraftment,” said Spees. Spees and his co-workers called their culture medium from the bone marrow stem cells “Cell-Kro.” Cell-Kro significantly increases cell adhesion, proliferation, survival, and migration. Spees is continuing to examine Cell-Kro in rats, but he wants to take his work into human trials next. His goal is to use cardiac stem cells (CSCs) from humans, which already have a documented ability to heal the heart after a heart attack. See here, here, and here.